I am the OII‘s Professor of Philosophy and Ethics of Information at the University of Oxford, where I am also the Director of the Digital Ethics Lab of the Oxford Internet Institute, and, Professorial Fellow of Exeter College. I am Turing Fellow of the Alan Turing Institute (the UK national institute for data science and artificial intelligence) and Chair of its Data Ethics Group. Still in Oxford, I am Distinguished Research Fellow of the Uehiro Centre for Practical Ethics and Senior Member of the Faculty of Philosophy, and Research Associate and Fellow in Information Policy of the Department of Computer Science. Outside Oxford, I am Adjunct Professor (“Distinguished Scholar in Residence”) of the Department of Economics, American University, Washington D.C.
My research concerns primarily Digital Ethics (aka Information and Computer Ethics), the Philosophy of Information, and the Philosophy of Technology. My other research interests include Epistemology, Philosophy of Logic, and the History and Philosophy of Scepticism. I have published over a 150 papers in these areas, in many anthologies and peer-reviewed journals. My works have been translated into many languages, including Arabic, Chinese, Czech, Dutch, French, German, Greek, Hungarian, Italian, Japanese, Lithuanian, Persian, Polish, Portuguese, Russian, and Spanish. My lifetime project is a tetralogy (not my term) on the foundation of the philosophy of information, called Principia Philosophiae Informationis. I have completed three-quarter of it. Best scenario, it will probably take me another decade to complete it, not least because I might have to add a fifth volume. My most recent book The Logic of Information (Oxford University Press 2019) has just been published and is preceded by: The Fourth Revolution – How the infosphere is reshaping human reality (Oxford University Press, 2014); The Ethics of Information (Oxford University Press, 2013, volume two of the tetralogy ); The Philosophy of Information (Oxford University Press, 2011, volume one of the tetralogy); Information – A Very Short Introduction (Oxford University Press, 2010). Some of my previous books include Scepticism and the Foundation of Epistemology – A Study in the Metalogical Fallacies (Brill, 1996); Internet – An Epistemological Essay (Il Saggiatore, 1997); Philosophy and Computing: An Introduction (Routledge, 1999); and Sextus Empiricus, The Recovery and Transmission of Pyrrhonism (Oxford University Press, 2002). The book on Sextus’ manuscript tradition was a matter of historical passion. I could indulge in it thanks to the extensive travelling due to my other research. Year after year, I visited more libraries and archives than I can recall and once, in New York, even an auction house that was selling one of the manuscripts. It was great fun. I edited many volumes and special issues, including The Blackwell Guide to the Philosophy of Computing and Information (Wiley-Blackwell, 2003); The Cambridge Handbook of Information and Computer Ethics (Cambridge University Press, 2010); and The Routledge Handbook of Philosophy of Information (Routledge, 2016). I was born in Rome in 1964. I was educated at Rome University La Sapienza, where I graduated in philosophy (laurea) in 1988, first class with distinction, after serving in the army (compulsory). My MPhil (1989) and PhD (1990) were both in philosophy, from the University of Warwick. I worked on philosophical logic as a graduate student with Susan Haack (Warwick) — she taught me how to think about conceptual problems — then as a postdoc with Michael Dummett (Oxford), who taught me how to disagree with him. I was a lecturer in philosophy at the University of Warwick in 1990-1. I joined the Faculty of Philosophy of the University of Oxford in 1990 and then the Department of Computer Science in 1999. I was Junior Research Fellow (JRF = postdoc) in Philosophy at Wolfson College, University of Oxford in 1990-4. A JRF is an immense honour, this much I understood at the time, because the competition was tougher than ferocious. But it is also an incredible privilege, which I slowly grasped only later. It allowed me to pursue any research I thought was important, without any constrains, and no required deliverables, for four yeas. Today, it seems unbelievable. Without that JRF I would have never had the courage and the time to work on the foundation of the philosophy of information. Later, I was Francis Yates Fellow in the History of Ideas at the Warburg Institute, University of London in 1994–95, and Research Fellow (roughly Assistant Professor) in Philosophy at Wolfson College, University of Oxford, in 1994-2001. During these years in Oxford, I held several lecturerships in different Colleges and taught a variety of subjects, from Ancient Philosophy to Wittgenstein, but mostly Mathematical Logic. The didactic experience was extremely demanding but also incredibly instructive. I do not regret it, but I do not miss it. Between 1994 and 1996, I also held a post-doctoral research scholarship at the Department of Philosophy, Università degli Studi di Torino. Between 2001 and 2006, I was Markle Foundation Senior Research Fellow in Information Policy at the Programme in Comparative Media Law and Policy, University of Oxford. Between 2002 and 2008, I was Associate Professor of Logic (tenure) at the Università degli Studi di Bari. 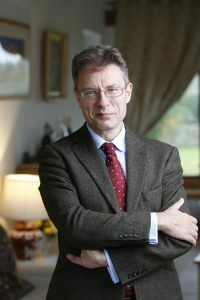 Between 2009 and 2014, I was Professor of Philosophy at the University of Hertfordshire, where I held the UNESCO Chair in Information and Computer Ethics. Between 2006 and 2017, I was Fellow by Special Election of St Cross College, Oxford. Between 2006 and 2010, I was President of IACAP (International Association for Computing And Philosophy). In 2009, I became the first philosopher to be elected Gauss Professor by the Göttingen Academy of Sciences. Still in 2009, I was awarded the Barwise Prize by the American Philosophical Association in recognition of my research on the philosophy of information, and I was elected Fellow of the Society for the Study of Artificial Intelligence and the Simulation of Behaviour. In 2010, I was appointed Editor-in-Chief of Springer’s new journal Philosophy & Technology and elected Fellow of the Center for Information Policy Research, University of Wisconsin–Milwaukee. In 2011, I awarded a laurea honoris causa by the University of Suceava, Romania, for my research on the philosophy of information. In 2012, I was appointed Chairman of the expert group, organised by the DG INFSO of the European Commission, on the impact of information and communication technologies on the digital transformations occurring in the European society. Still in 2012, I was the recipient of the Covey Award, by the International Association for Computing and Philosophy, for “outstanding research in philosophy and computing”. I was then the recipient of the Weizenbaum Award for 2013 for my “significant contribution to the field of information and computer ethics, through his research, service, and vision” (the Award is given every two years by the International Society for Ethics and Information Technology). Still in 2013, I was elected Fellow of the British Computer Society (FBCS) and Member of the Académie Internationale de Philosophie des Sciences (MAIPS). In 2014, I awarded a Cátedras de Excelencia by the University Carlos III of Madrid (UC3M) for my work on the philosophy and ethics of information. In 2015, I was elected Fernand Braudel Senior Fellow of the European University Institute. In 2016, I received the Copernicus Scientist Award by the Institute of Advanced Studies of the University of Ferrara. I also received the J. Ong Award by the Media Ecology Association for my book The Fourth Revolution; and the Malpensa Prize, by the city of Guarcino, Italy. In 2017, I was elected Fellow of the Academy of Social Sciences. In 2018 I was elected to a Professorial Fellowship of Exeter College, Oxford. I am deeply engaged with emerging policy initiatives on the socio-ethical value and implications of digital technologies and their applications. And I have worked closely on data ethics (including the ethics of algorithms and AI) with the European Commission, the German Ethics Council, and, in the UK, with the House of Lords, the Cabinet Office, the Information Commissioner’s Office, several Governments, as well as with multinational corporations, including Cisco, Facebook, Google, IBM, Microsoft, and Tencent. Member responsible for the Science Panel of the Commitment to Privacy and Trust in Internet of Things Security (ComPaTrIoTS) Research Hub (a project funded by the British Government to work on cyber security, designing in trust, privacy, security and resilience associated with the Internet of Things). Co-author of the UNESCO Code of Ethics for the Information Society (UNESCO Information for All Programme 2009), in view of developing a UNESCO Declaration to be submitted to the General Conference. In recent years, I have been the PI or Co-PI of several research projects. I like and practice (when I can) two geometrical sport: chess and squash. I wish I were better at both. One of the achievements of which I am most proud is having my name engraved on the Oxford Squash trophies, as captain of the Wolfson teams who won cuppers in 1998-2002, the intercollegiate competitions at the University of Oxford. But most importantly than anything you read, assuming you came this far, is that I’m Kia Nobre‘s husband.